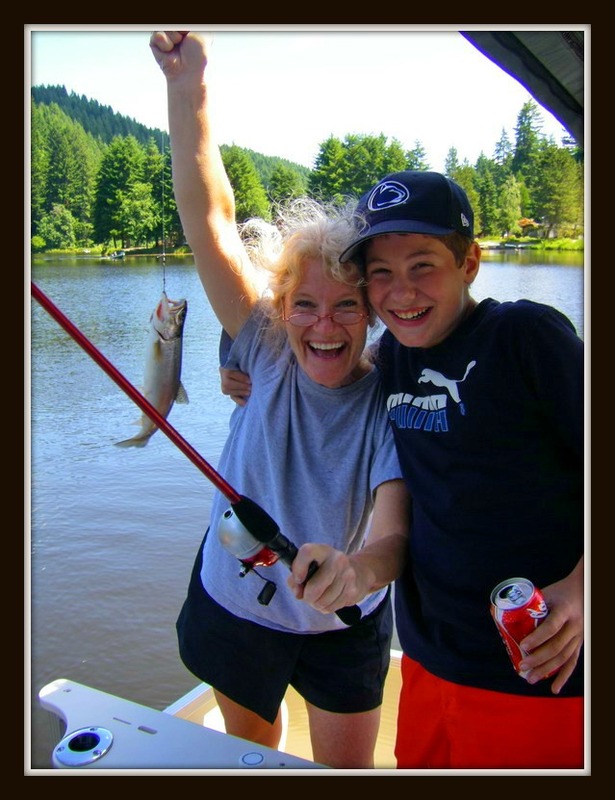 ← Lakefront Property for sale Oregon-Clean “Cabiny Cabin”–Just What You’ve Been Looking For! Do you recall as a child how endless summers seemed to be? The countdown of days til summer officially began, the plans with friends and family—sleeping in, (or not) and having hours upon hours to play. 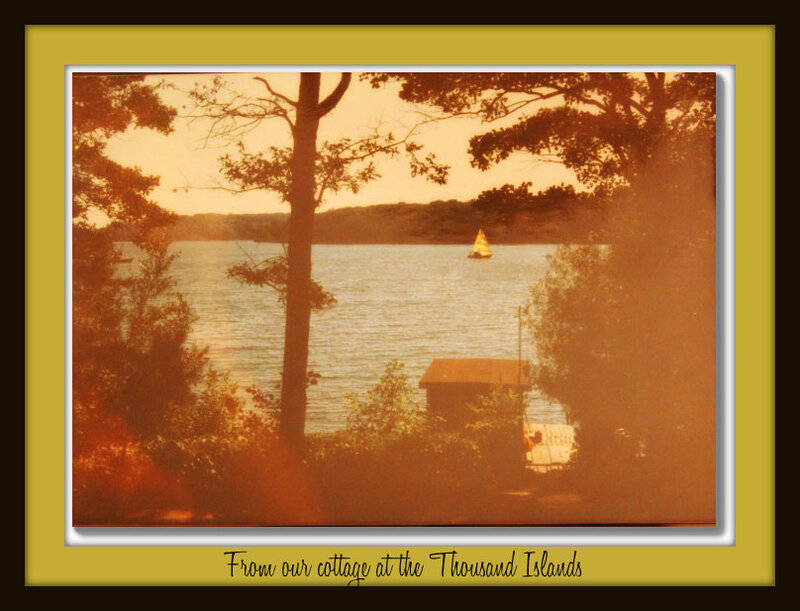 One of the summer delights that I experienced as a child and as a young person, was going to our cottage in the Thousand Islands on the St. Lawrence River, a tributary of Lake Erie between New York and Canada. You had to get on a boat as your transportation to get to Murray Isle, where our cottage was located, as there were no cars on the island; just homes, docks, a post office and a library! My sister and I were 5th generation of family to own property on Murray Isle and it was pretty rustic summer living as a small child. We had an outhouse, no drinkable water and you had to bring everything that you planned to live on for the summer up the long pathway from the boat into our cottage, many many times. There was a pump house located 1/3 of the way around the island, and my younger sister and I would trek along the well-worn and rocky path to the pump house, hauling empty plastic gallon jugs to be filled with fresh potable water and brought back to the cottage. It was quite a feat lifting that heavy metal handle and pushing it up and down vigorously at least 10 times before any water would come out and quite tricky holding the gallon jug under it so that the fiercely cold water would end up IN the jug and not splashing all over your feet! Definitely a two-person job. It was rustic, but the memories of learning how to put a worm on a hook while fishing with Dad, or being taught how to swim, start and run an outboard motorboat and get up on waterskis for the first time were small examples of the makings of lifetime memories that we shared as a family living on the water of the St. Lawrence in the summers. Sharing these simple summer routines made us feel closer as a family. As an adult, I wanted to recapture those timeless memories. The yearning for an escape that was befitting of my childhood was hard to find, but never off my dream list. 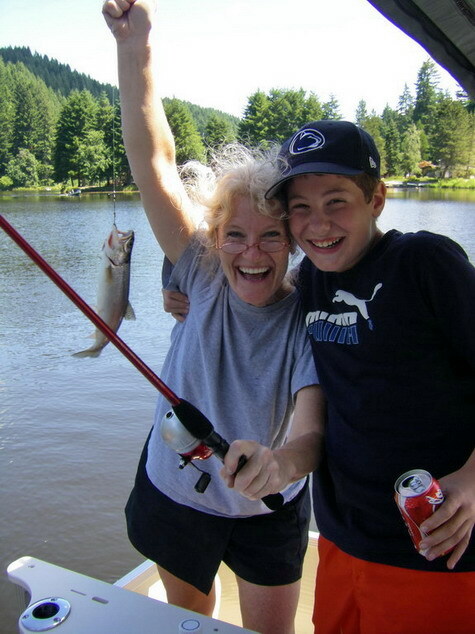 Then I discovered Fishhawk Lake ten years ago. It had the same sweet woodsy smell that took me immediately back to the times I spent as a kid wandering along the well-worn paths both near the water as well as the meandering ones in the woods that took us to the other side of the island. The sounds traveling across from the other side of Fishhawk Lake reminded me of how well you can hear on water—everything from a dog barking to childish laughter while splashing around in the water a quarter of a mile away—a lesson I learned early on as to how sounds can be heard more easily across water than land. There was the appreciation for a simpler life. People who all waved at each other, whether you knew them or not. Helping out a neighbor who might need a tool that wasn’t in their own array of fix-it items. Playing games—such a big deal in a small community—gathering people together to laugh over cards or horseshoes, and always ALWAYS friendly. These are some of the similarities I have found at Fishhawk Lake. 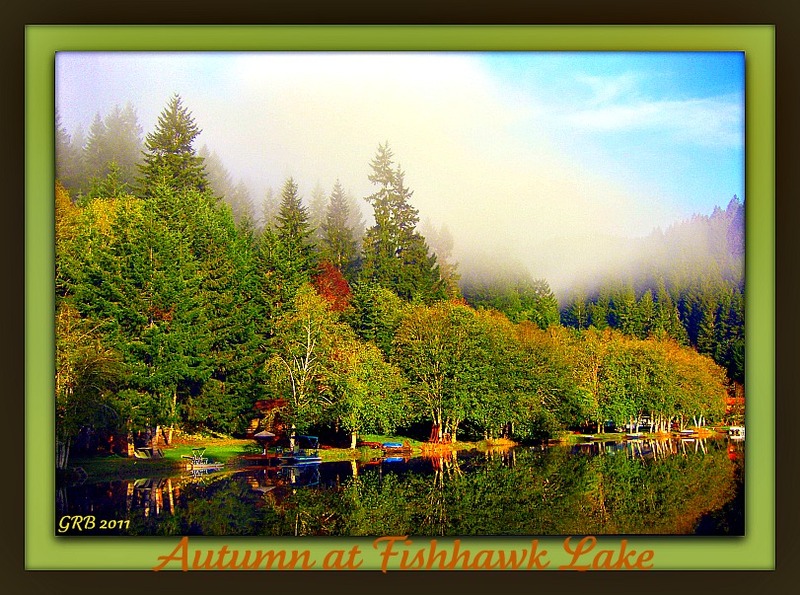 Many people that I do business with in real estate who find their way here to Fishhawk Lake are trying to recapture those same or similar memories for themselves to share with their children, their relatives, their friends. 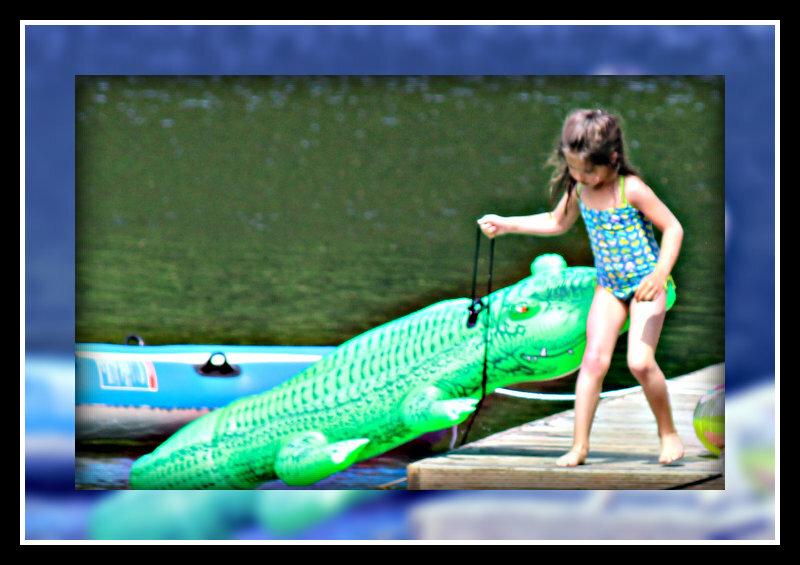 Not everyone seeks this simplicity–this way back to a memory of endless summers filled with genuine joy of living and playing on water in a small community. It is something that they may not readily be able to describe to me, but something that I completely understand. It is a way to get back to the basic calm in life. To sit by water and take it IN. To hear the sounds it makes, to smell the delicious CLEAN of fresh air and fresh water…it is pristine, untouched, basic. Many of us want to go back to our easy breezy childhoods when time seemed like FOREVER and you got to enjoy a summer without complication, and simply being a kid was easy to do. As Labor Day came and went it gave me a moment to reflect on those endless summers and took me back to a time when you looked forward to going back to school, reconnecting with friends and sharing delicious moments of what you did on your summer vacation. If you find yourself longing for a place to call “home” as vacation or full-time living, please call me and let me share Fishhawk Lake with you. 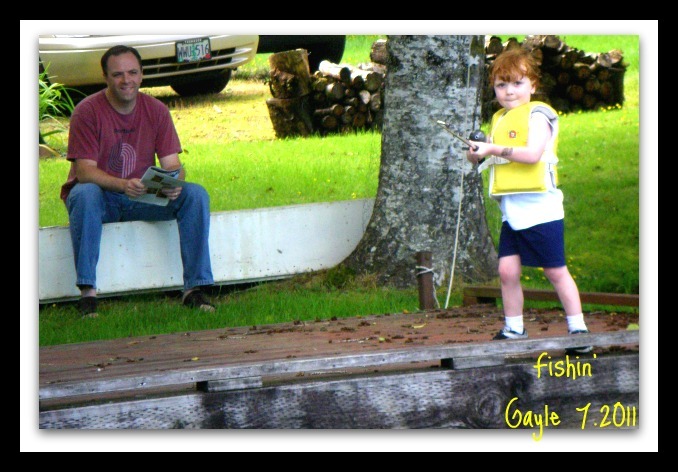 This entry was posted in family memories, Fulltime realtor, Lake Realtor, Living on a Lake in the Country, Photoblogs of Fishhawk Lake, Thoughts from a Fishhawk Lake Realtor and tagged Fishhawk Lake activities, kids' activities, lake fun, lake properties, resort community, things to do at Fishhawk Lake. Bookmark the permalink. Gayle, this is wonderful. Your story brings back great memories of Murray Isle and your family. 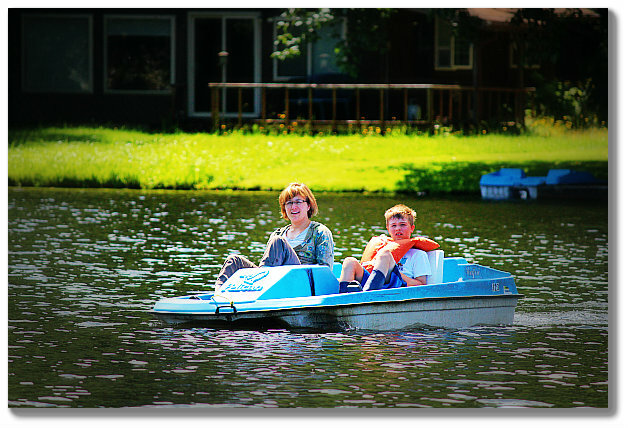 My Fishhawk Lake ActiveRain site also has blogging material about living on a lake. bookmarked to see new information on your website. | Fishhawklakerealtor’s Blog <Loved it!